When it comes to sending email, reputation as a sender is king. 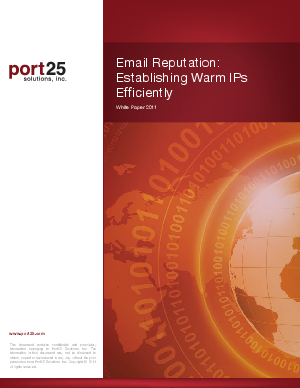 Reputation is based largely on the IP address from which email is sent. The problem comes from the fact that new IP addresses do not come with a reputation, and it is up to the sender to establish the reputation for your IP addresses. With this in mind, PowerMTA has the ability to use the reputation of an existing IP address to warm up a new IP.